Truthfully, there are no definitive means of accurately forecasting short-term or long-term gold prices. It’s a challenging endeavor, given that there are many different variables that must be factored. Likewise, gold has historically performed well under a variety of different conditions and circumstances. That said, using different sets of techniques, it becomes a very fine art and science to predict the future price of gold. By all accounts, analysts are leaning towards a bullish scenario. Today, the price of gold hovering around $1276.80 US an ounce. In 11 years, some experts are predicting that price to at least double. In this article, experts weigh in on their gold price predictions for 2030. By all expert accounts, there is no better time than now to invest in gold. It has long been seen as an asset to hold in a portfolio and has preserved wealth for innumerable generations. 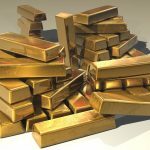 Obviously, there are pros and cons to any investment, but as a diversifying investment, gold is an excellent choice. There are numerous paths to embracing gold as an investment. Be it the futures market, to buying shares in a gold mine company, to investing in gold bullion, coins, or jewelry. With prices only predicted to skyrocket, time is of the essence. Sarah Bauder has a decade of experience at numerous publications, writing about finance, politics, economy and more. The reserves of gold in the fields will be enough for the world for a maximum of 20 years. If producers do not start mining gold from great depths, gold will soon run out and in the next 20-30 years gold prices will go up sharply.